Forty percent of food in the United States is never eaten, amounting to $165 billion a year in waste, taking a toll on the country’s water resources and significantly increasing greenhouse gas emissions, according to a report from the Natural Resources Defense Council released this week. “American families throw out approximately 25% of the food and beverages they buy,” the report says. It cites several reasons, including that food has been so cheap and plentiful in the United States that Americans don’t value it properly. Enticed by impulse buys, sales and savings by buying in bulk, Americans simply buy more food than they can eat, the report says. Part of that problem comes from poor planning – such as impromptu decisions to eat out when there’s still food in the fridge – and when we do cook at home, making enough to fill the plate rather than what we actually need to eat. The average size of the U.S. dinner plate is 36% bigger now than it was in 1960, the report says. “Today, portion sizes can be two to eight times larger than USDA or FDA standard serving sizes,” the report says. 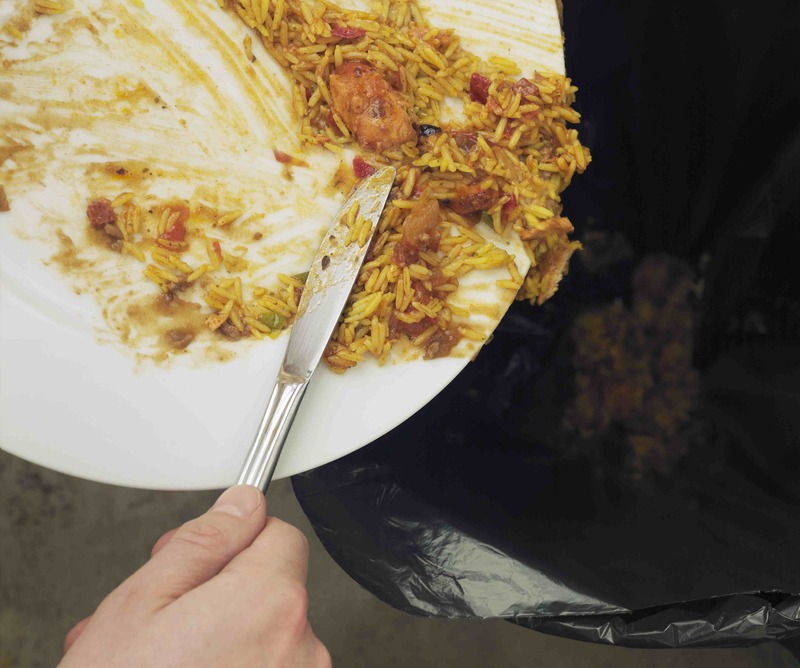 “Particularly wasteful are large buffets, which cannot reuse or even donate most of what is put out because of health code restrictions,” the report says. They make too much ready-to-eat food. “One grocer estimated that his store threw away a full 50% of the rotisserie chickens that were prepared,” the report said. “Approximately 7% of planted fields in the United States are typically not harvested each year,” the report says. Among the possible reasons cited in the report: Growers can’t get a good enough price for their crop to make harvest profitable, or they overplanted and have more crop than there is demand for, or the food is of edible quality but not marketable. “A packer of citrus, stone fruit, and grapes estimated that 20% to 50% of the produce he handles is unmarketable but perfectly edible,” the report says. Food production accounts for 80% of the country’s fresh water consumption, but the waste of food means 25% of the fresh water is actually wasted. One key recommendation of the report is standardization of date labels on food. Americans may be throwing out a substantial amount of edible food simply because they misinterpret a “sell by” date as a “use by” date, the report says. “There is the plain economic truth that the more food consumers waste, the more those in the food industry are able to sell,” the report says. If these problems can be fixed, the nation’s hungry could benefit, according to the report. “Reducing losses by just 15% could feed more than 25 million Americans every year,” the report says. The National Resources Defense Council is an environmental action group with more than 1.3 million members. It works to combat global warming, defend wildlife, create clean energy, cut pollution, protect waters supplies and revive the world’s oceans, according to its website.